Cabaiguan is a city in Cuba that is not only home to Don “Pepin” Garcia, but many other distinguished members of the cigar industry. Cabaiguan was created by Pete Johnson, owner of Tatuaje Cigars, and Jaime Garcia, son of “Pepin” Garcia. Cabaiguan cigars are currently manufactured at the El Rey de los Habanos factory in Little Havana, Miami, Florida. After being released in 2004, Cabaiguan has grown in popularity due to the consistent quality that Pepin Garcia continues to produce. All of the 12 rollers at Pepin’s factory are class 8 Master Rollers, and the quality shines through. 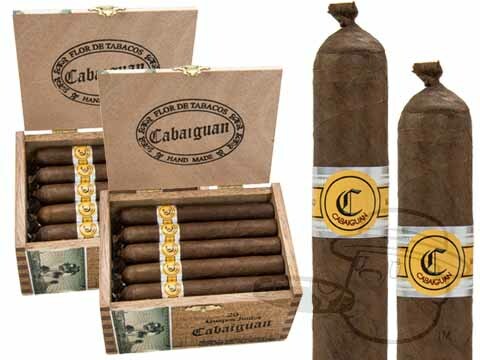 Cabaiguan cigars are produced in the same factory as Tatuaje cigras, which has consistently ranked among the top 25 cigars of the year, according to Cigar Aficionado. Find the best deals on cheap Cabaiguan cigars on BestCigarPrices.com. Cabaiguan is a mild to medium-bodied cigar that has Pepin’s signature all over it. The filler uses a blend of Nicaraguan tobaccos, while the binder is also Nicaraguan. The wrapper utilizes the increasingly popular Connecticut seed shade-grown Ecuadoran leaf to achieve full smoking pleasure. The taste is best described as an earthy and smooth, well-rounded flavor.